Its that time of year yet again when we reveal the design theme for the Crochet Club. 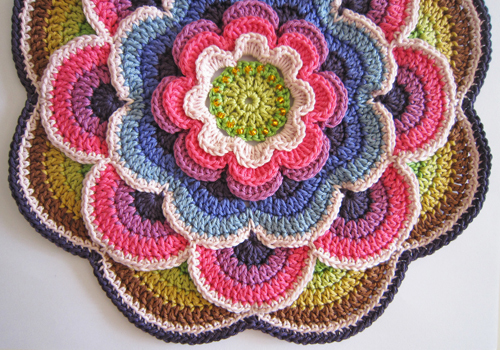 The crochet club has been a phenomenal success since it’s launch in 2011 and we hope to build on this achievement in 2014 and going forward by making changes that will offer you the choice of a few different options so that you can choose how you want the crochet along experience to work for you. 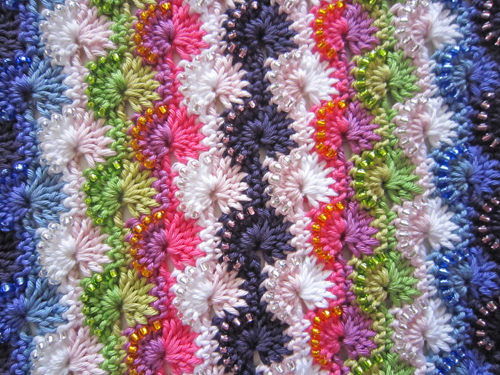 The design for the 2014 crochet club project is based on 60s/70s retro floral and geometric patterns and the yarns used are from the Rowan Cotton Glace range alongside 5 bead shades from the Debbie Abrahams range. 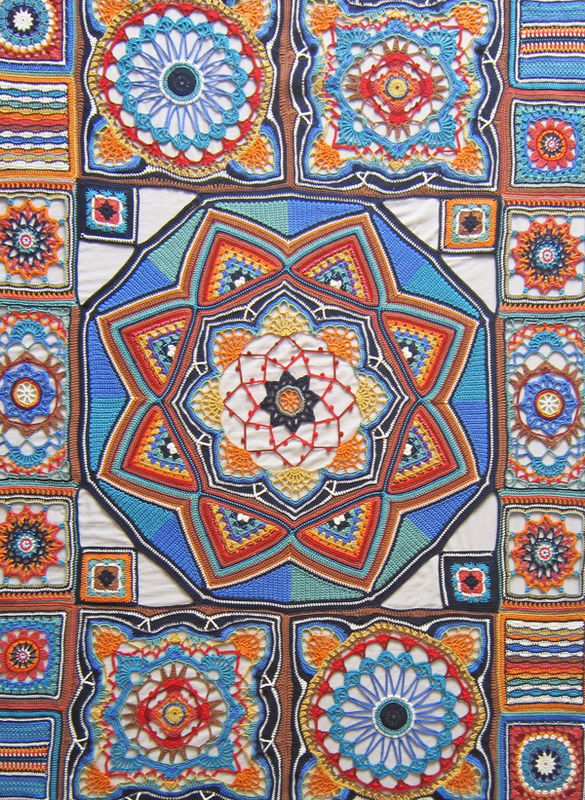 The project will measure approximately 90cm x 150cm and can be used as a wall hanging, bed panel or lap blanket. 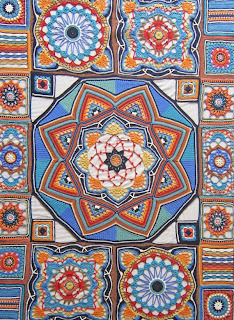 The project includes lots of techniques, including beading and colour work and it could be used as a great learning tool because it is supported by an exclusive blog, which includes step by step tips and also by a range of technique download pdfs which aim to give as much help as possible. 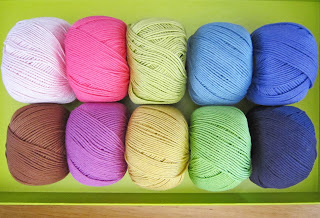 this option is aimed at those of you who want to use your own materials to complete the project and choose your own colour palette - we will not be giving yarn alternatives or colour palette options, so this is your chance to be creative! 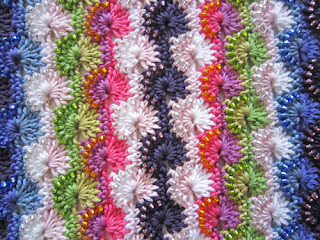 The image above is of the completed 2013 crochet club project. Want to see the project before you start?